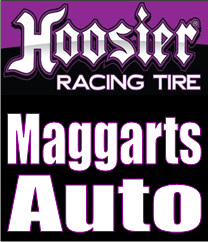 In the final results from Maple Grove Raceway and the NHRA Lucas Oil Drag Racing Series, Troy Coughlin Jr., Delaware, Ohio, and Sean Bellemeur, Placentia, Calif., took home the wins in Top Alcohol Dragster and Top Alcohol Funny Car respectively. Coughlin qualified number one and worked his way through the field taking out Brandon Greco and Duane Shields in rounds two and three, then went 5.328 seconds at 272.89 mph in his final round victory over Josh Hart, Ocala. Fla., who clocked in at 5.366 seconds, 273.66 mph. Bellemeur faced off against Phil Burkart, Yorkville, N.Y., and posted a winning run of 5.489 seconds, 268.28 mph in his ‘17 Chevy Camaro. Burkart drove to a 5.745 second, 261.52 mph lap for his runner up finish. The win is Bellemeur’s third in a row at Maple Grove and the Dodge NHRA Nationals. Shane Oakes, Ottsville, Pa., and Anthony Fetch, Colonia N.J., lined up for the Stock Eliminator final round. Oakes was a tick quicker off the starting line and he held on to take the win with a time of 11.144 seconds at 113.83 mph with this being his first national event win on the NHRA tour. Other racers visiting the winner’s circle this weekend were Tom Martino, Farmingdale, N.J., in Comp Eliminator; Anthony Bertozzi, Ashland, Va., in Super Stock; Mike Robilotto, Albany N.Y., in Super Comp and Ray Sawyer, Acton, Mass., in Super Gas.